Hong Kong’s oldest temple is never busier than it will be this week. Located on the remote shores of Joss House Bay, Tai Miu (daai6 miu6 大廟), meaning “Great Temple,” was founded in 1266 and dedicated to Tin Hau, the goddess of the sea. 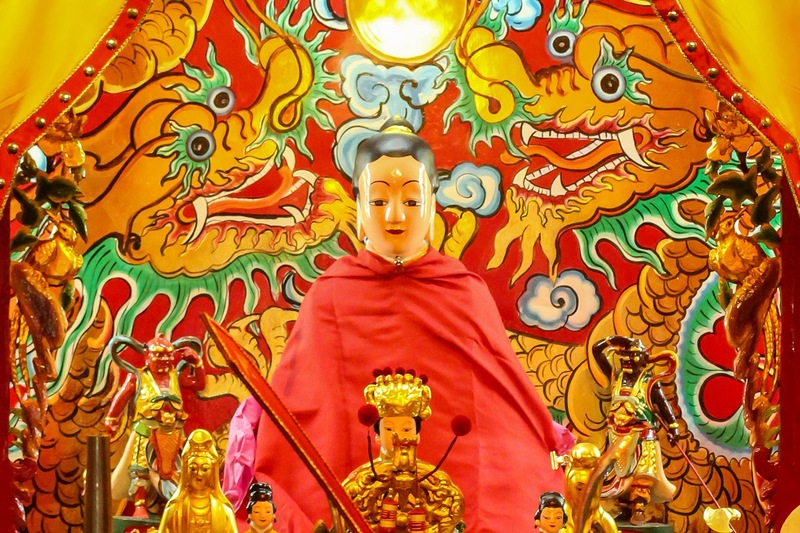 Tin Hau’s birthday falls on the 23rd day of the third lunar month — April 29 this year — and festivals across Hong Kong pay homage to the city’s most popular deity. Few are as significant as the celebrations at Joss House Bay. First, boat people who make their living off the sea will adorn their vessels with bright banners and vibrant flags, setting sail to Tai Miu while making offerings to temporary Tin Hau altars onboard their boats. A rainbow coloured fleet of all shapes and sizes will cram into Joss House Bay, each boat vying for the best position to present themselves to their patron goddess. Land-based worshippers will take special ferries that run throughout the day, turning the normally secluded temple into a crowded hive of activity. 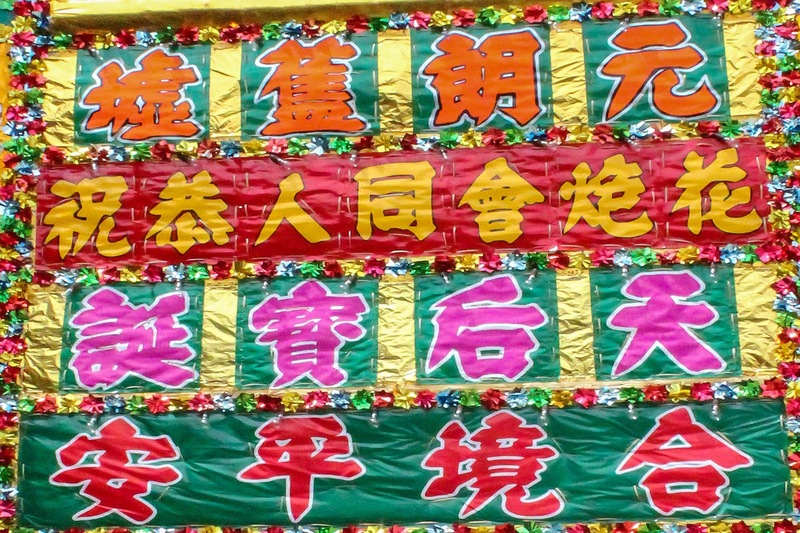 Worshippers noisily jostle for space to lay out their offerings of roast suckling pig and other traditional foods so as to gain the goddess’ favour. Smoke fills the air as thousands of incense sticks will smoulder away. The temple’s furnaces will be running at full blast to handle thousands of joss paper offerings. 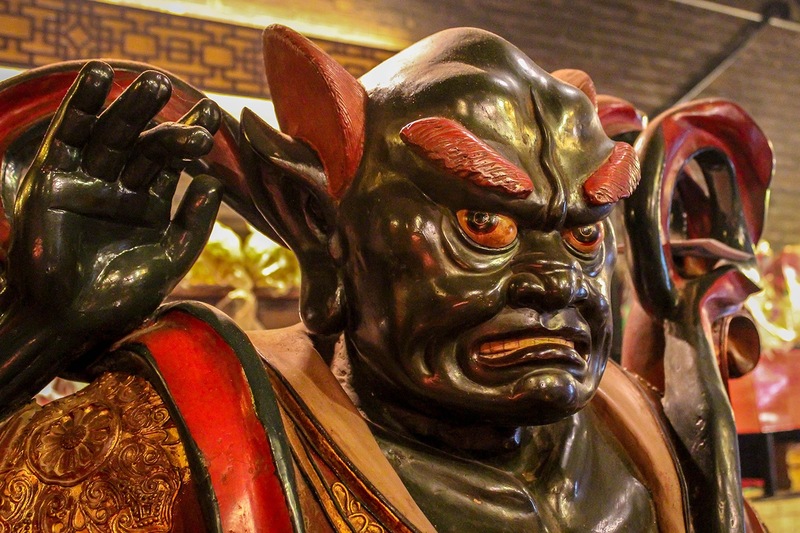 There are dozens of Chinese gods, but none are celebrated in Hong Kong with as much fervour as Tin Hau, who dominates the landscape of the city’s folk religion. 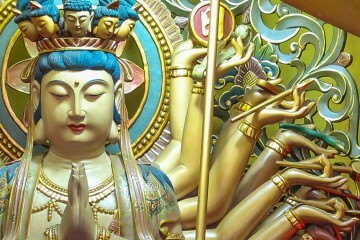 More than 80 temples are dedicated to the goddess; even an MTR station is named after her. 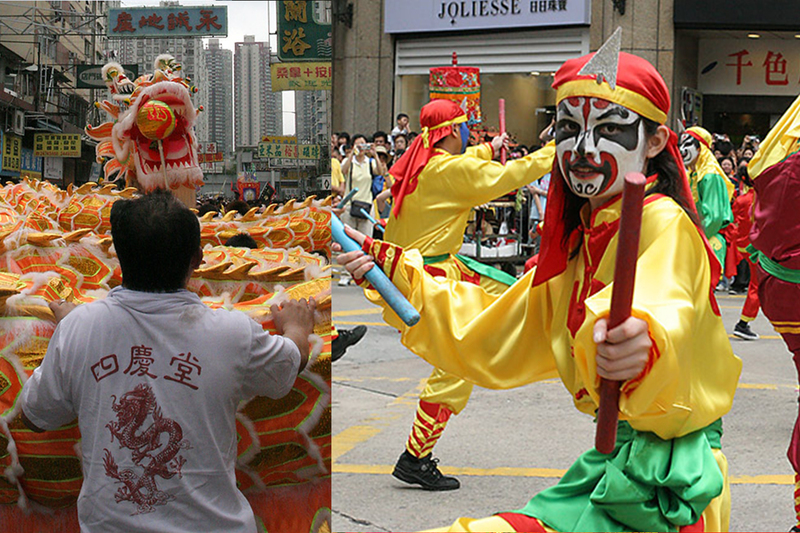 For Tin Hau’s birthday, known in Cantonese as tin1 hau6 daan3 (天后誕), temple committees organise energetic parades with lion and dragon dances, marching bands and floats. Colourful faa1 pai4 flower plaques are made and erected to mark the celebrations at each temple, even those where she is not the main deity. The most impressive procession takes place in Yuen Long. The crashing of cymbals and thumping rhythm of drums rings through the air, frightening malignant spirits away and pleasing the goddess. Dancers wear whirling multicoloured fabrics as flags on the floats flap and billow in time to the music, the procession snaking along the streets like an enormous human dragon. Starting at Fung Cheung Road, the huge procession marches to the huge Tin Hau Temple in Tai Shu Ha. 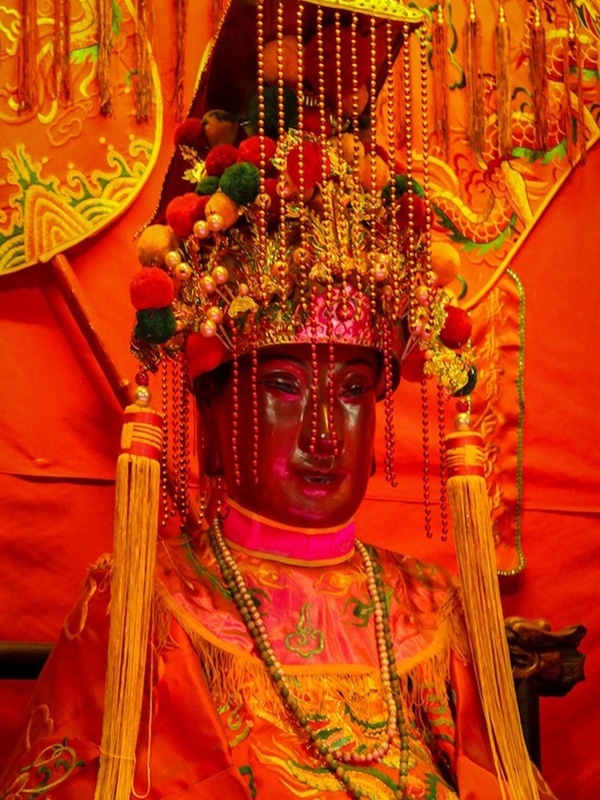 Tin Hau wasn’t always the supreme female deity she is today. Her origins are humble, but her rise to power is remarkable. Just off the coast of Fujian province, not far from Taiwan, lies the tiny fishing island of Meizhoudao. On the island, a huge temple complex is dedicated to the goddess, only here she is known as Māzǔ, meaning Grandmother. This marks the spot where Tin Hau’s story began around the year 960. Born on the island to the Lín family, she was given the name Mòniáng, meaning Silent Girl, as she did not cry as a baby. Like other young women, Lín Mòniáng dedicated herself to feminine arts such as spinning and weaving, while the men of the family went out to sea to fish and trade. 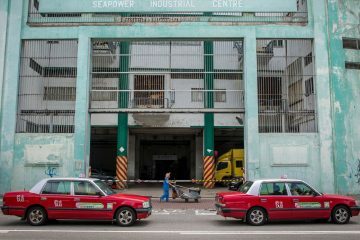 Tin Hau’s story is an intertwining of a little fact and a lot of legend. Apparently, Lín Mòniáng was particularly devoted to the Buddhist saint Guānyīn, the goddess of mercy, and she developed a special relationship with her. She also practiced the Taoist alchemical arts and developed magical powers. Emulating Guānyīn, Lín refused to marry, which was highly unusual for the time. One day, her father and four brothers went out to sea along with the other men of the island. 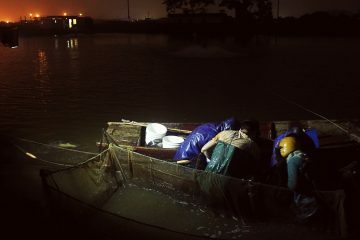 While they were out at sea, a powerful typhoon hit. Lín was weaving at her loom when she fell into a trance. During this trance her spirit went out to sea, picked up her family members and brought them back to safety, one by one. Seeing her daughter in a strange state, Lín’s mother woke her, causing her to drop her fourth brother in the sea. The next day, her father and three brothers returned from the sea, but all of the other men were lost. Lín is then said to have ascended to heaven at the tender age of 27. Some scholars have suggested that the trance story suggests that Tin Hau may have actually been a local shaman whose fame lived on after her death. This is supported by the fact she was unmarried, like other female shamans. She would naturally become a ghost after death, rather than an ancestral spirit, as she had no offspring to make offerings to her. Her fantastic deeds lead people to worship her as a beneficial spirit and patron of seafarers. Her family’s small ancestral temple began attracting worshippers and her fame began to spread. Soon, temples to the local deity, known simply as Grandmother, began appearing all over the region. It was during the Song dynasty (960-1279) that her first imperial recognition came, with the title of “Beneficial Spirit Lady” in 1256. Every few years she picked up further titles as her popularity grew among the seafaring traders. In 1281, she was proclaimed Tiān Fēi (Heavenly Consort) by the Mongol emperor Kublai Khan. Zhèng Hé, a famous admiral of the Ming dynasty (1368-1644) had shrines to her onboard each of his ships in the vast Treasure Fleet. Zhèng was utterly devoted to the goddess, despite being Muslim by birth. In 1684, the goddess was conferred the highest rank available, Tiān Hòu, Empress of Heaven, by the Emperor Kāngxī of the Qing dynasty (1644-1912). More honours were heaped upon her until the end of the 19th century. Tin Hau came to Hong Kong during the Song dynasty, at the very beginning of her heavenly ascendency. Seafaring folk brought her with them as they settled the territory, setting up shrines in harbours and bays. Most of the 80 Tin Hau temples in Hong Kong are positioned by the sea, and those that aren’t were likely deprived of their waterfront locations through land reclamation. 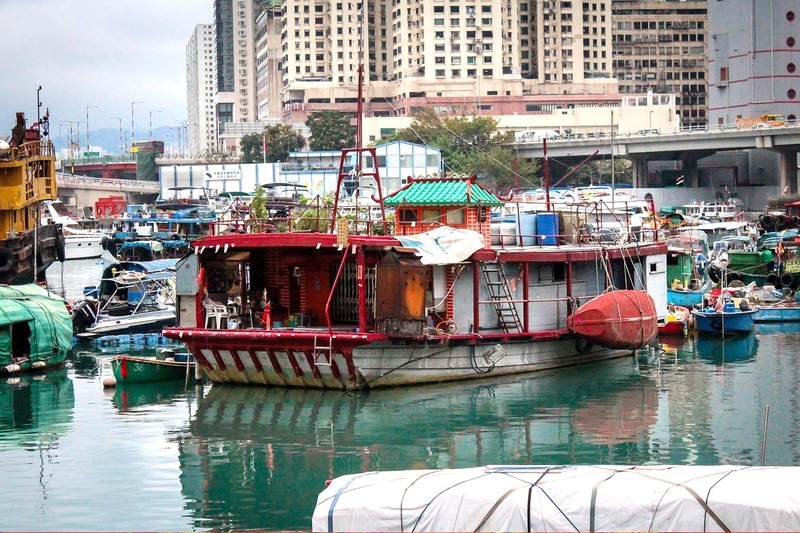 The Tanka (daan6 gaa1 蜑家) boat people of Hong Kong take her with them on their boats. They famously saved a statue of Tin Hau from the invading Japanese, which they now keep on their incredible floating temple, Shui Sheng Tin Hau Sam Gok Miu, in the Causeway Bay typhoon shelter. 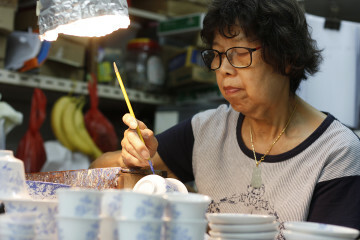 Tin Hau is easy to identify in a temple, even when she is not the principal deity. She is nearly always seated on a throne wearing an empress’ crown. She has two demonic attendants, one red and one green, called Shun Fung Yi (Favourable Wind Ears) and Chin Lei Ngan (Thousand Mile Eyes). Despite these fearsome sentinels, she is an extremely approachable goddess, as she is a pretty young lady with a kind heart. 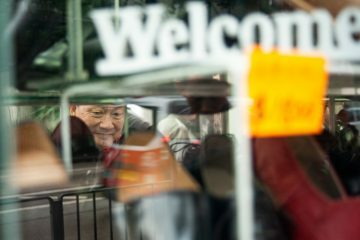 Hong Kong is home to a number of different Chinese communities, from the Tanka to the Hakka to the Punti, but Tin Hau unites them all. Her birthday is the biggest festival for an individual deity in the local calendar. All across Hong Kong, people take time out from their working schedule to make an offering to the goddess and pray for whatever it is they wish for. More than a thousand years after the mortal Lín Mòniáng died, people from across the Chinese diaspora will honour her as though they were the children she never had. 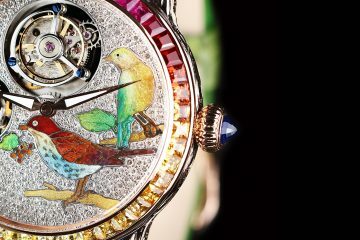 If they are fortunate, and their offerings are deemed worthy enough, their dreams might just become a reality. Tai Miu – Joss House Bay, Sai Kung, near the the Clearwater Bay Golf and Country Club, off Tai O Mun Road. Note: Cantonese romanisation in this article is based on the jyutping system, which uses numbers to correspond to the six main tones in Cantonese. Mandarin romanisation in this article is based on Hanyu Pinyin. 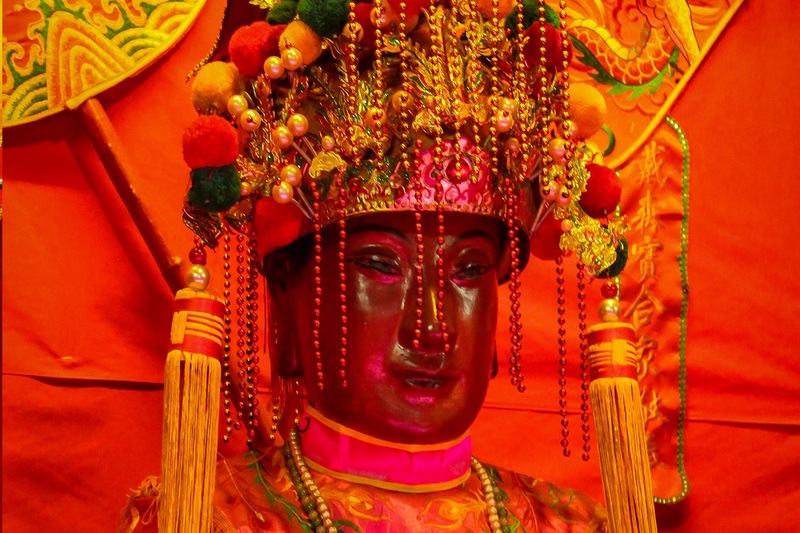 From a Fujianese fishing village to the streets of Hong Kong: the story behind Tin Hau, Hong Kong's most popular deity.